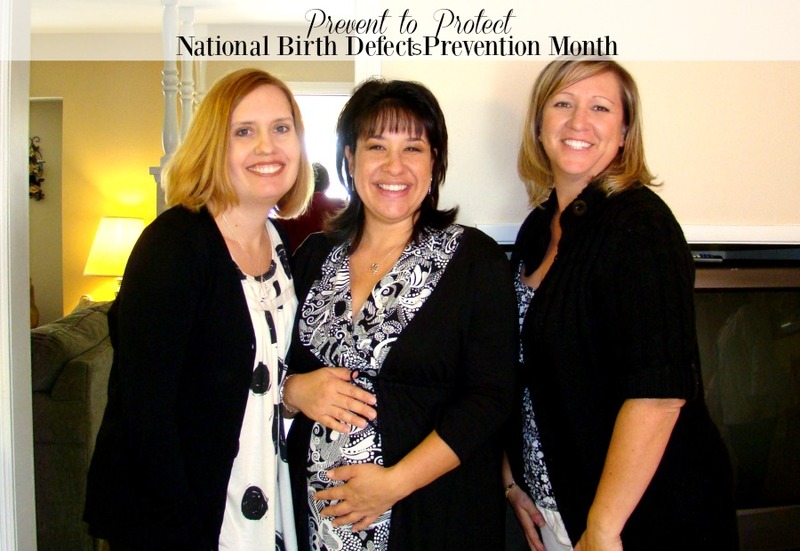 Sponsored: Did you know – January is National Birth Defects Prevention Month. While I’m not currently pregnant, I do remember when we made the decision to start our family. Within a few months of making that decision, at my annual check up with my healthcare provider, I felt it important to speak with my doctor about preconception and reproductive health care. I wanted to be prepared and take the steps necessary to ensure my baby and I were healthy, and to reduce my risk of getting an infection or any sorts of complications during pregnancy. By the time we conceived, it was right around my birthday, in January – the beginning of cold and flu season. Scared of catching a cold or even the flu, I made sure I discussed ways to stay healthy with my doctor. She started me on a daily multivitamin containing folic acid and essential vitamins she felt I needed before and during my pregnancy. Folic Acid has been proven to help prevent serious birth defects of the brain and spine. I tried to maintain a healthy diet and continue to practice good hygiene by constantly washing my hands often, especially when co-workers were sick around me. Get vaccinated against flu and other diseases. Regular check ups and discussions with your doctor is so important. When I reached 28 weeks into my pregnancy, I realized that I had gained quite a lot of weight within the last month. After speaking with my doctor about my concerns, she came to the conclusion that I had Pre-Eclampsia (high blood pressure during pregnancy). To keep my baby and I safe, the best course of action was for me to rest, so she decided that I would need to be on bed rest for the remainder of my pregnancy. STDs during Pregnancy | CDC http://www.cdc.gov/std/pregnancy/stdfact-pregnancy-detailed.htm Details on the effects of specific STIs during a woman’s pregnancy with links to web pages with additional information. Group B Strep (GBS) Prevention in Newborns | CDC http://www.cdc.gov/groupbstrep/about/prevention.html Strategies to prevent GBS in newborn infants. Urinary Tract Infections during Pregnancy | American Academy of Family Physicians http://www.aafp.org/afp/2000/0201/p721.html Learn more about UTIs during pregnancy. Zika Virus-Protect Yourself & Others | CDC http://www.cdc.gov/zika/prevention/protect-yourself-and-others.html Tips to help protect you, your partner, your family, your friends, and your community from Zika. Sexually Transmitted Infections | March of Dimes https://www.marchofdimes.org/complications/sexually-transmitted-infections.aspx Learn how you can protect yourself and your baby from STIs. Join me in signing up with Thunderclap to help spread a one time message: “Let’s prevent infections to protect babies & families from birth defects & other health problems. #Prevent2Protect http://thndr.me/Xv4Dtf on January 10th, 2018 at 12:00pm ET.